Start your morning with a wonderful breakfast at Hôtel Plaza Athénée, to set you up for your exciting day of discovery. 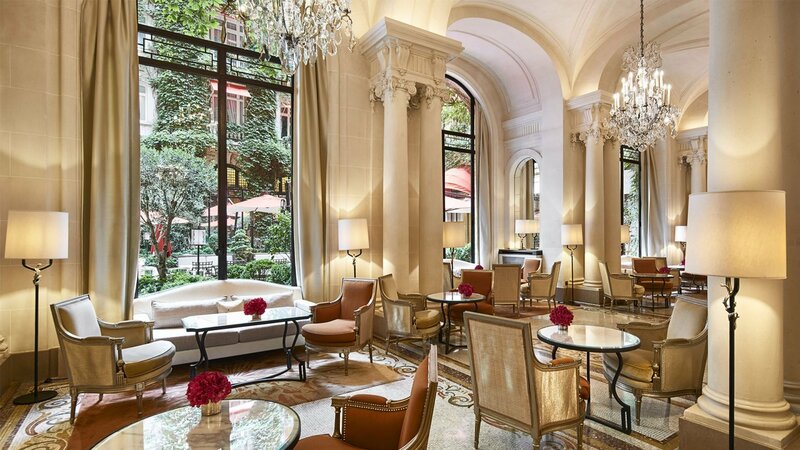 Dine in true Parisian style, under a spectacular chandelier, as you enjoy freshly-ground coffee and homemade croissants, not to mention our highly sought-after jam. Step outside Hôtel Plaza Athénée and you’re on avenue Montaigne, the city’s most prestigious Haute Couture street in the heart of the golden triangle. Here you’ll find the most famous designer fashion boutiques including Dior, Louis Vuitton, Saint Laurent, Chanel, Valentino, Celine and Gucci. The Dior boutique is where Christian Dior opened his first store back in 1946, carefully selected to attract Hôtel Plaza Athénée’s guests. Before heading out to another arrondissement, there’s another special place well worth taking time out of your busy schedule to discover. Back at Hôtel Plaza Athénée, La Galerie is a determinedly chic space, brimming with calm elegance. It’s a lovely place to enjoy a light lunch amidst the local Parisian fashionistas. From the hotel, take a short stroll to the famous Champs-Elysees, cross over to avenue de Matignon then turn right onto rue du Fabourg Saint-Honoré, one of the longest shopping streets in Paris. Here you’ll find a host of world-famous brands, think Lanvin, La Perla, Hermès and many more. As you wander along, look left for rue Cambon and take a detour to see the Chanel boutique ‒ Coco Chanel’s original store where it all started. Having enjoyed your afternoon tea, stroll back down rue de Castiglione and across to Place Vendôme then straight on to rue de la Paix, known for its array of high-end jewellers. Take your pick from the likes of Chaumet, Patek Philippe, Rolex, Boucheron and Cartier. Reach the end of the road and you’ll be rewarded with a fabulous view of the iconic opera house. 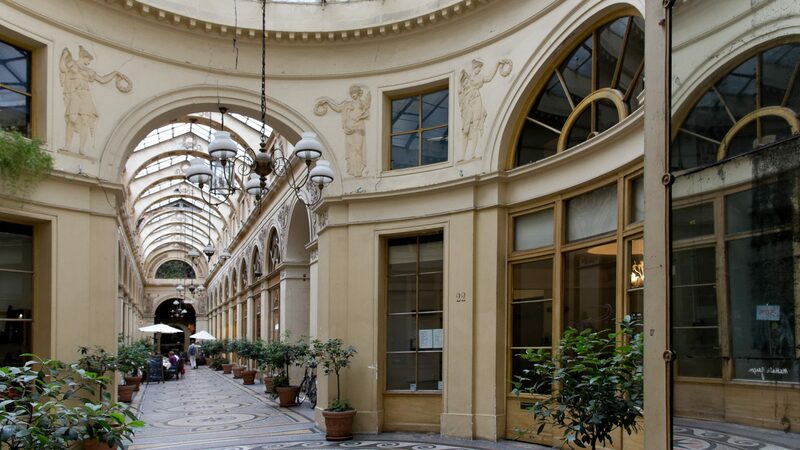 To complete your shopping spree take a taxi to nearby Galerie Vivienne, a beautiful 19th century shopping gallery. Sophisticated fashion stores here include Alexis Mabille and Jean-Paul Gaultier. You’ll also find wonderful decorative ideas for your home at Secrets d’Intérieurs and Emilio Robba. To celebrate your memorable day, we highly recommend you travel back to Le Meurice and dine at Restaurant le Meurice Alain Ducasse. Inspired by the Salon de la Paix at the Château de Versailles, this majestic two Michelin-starred restaurant reinterprets classic haute cuisine, under the expert eye of executive chef Jocelyn Herland. Enjoy! We hope our shopping itinerary inspires you to have a great experience in Paris. Our concierge team at both Hôtel Plaza Athénée and Le Meurice would be very happy to suggest personal recommendations or organise a personal shopper to advise you. French invasion: the largest and most comprehensive exhibition to take place in the UK about the House of Dior arrives at the V&A Museum.